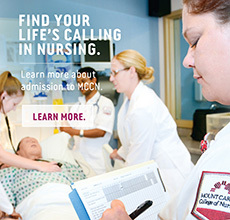 Mount Carmel College of Nursing offers a Bachelor of Science of Nursing (BSN) Program on the campus of Fairfield Medical Center in Lancaster, Ohio. This exciting partnership is designed to help students realize their dreams of achieving exciting careers in nursing, while meeting the increasing community demand for baccalaureate prepared nurses. As part of the Mount Carmel program, students will take general education coursework (Sciences/ Humanities/ English) at the Ohio University-Lancaster (OUL) campus during the first year, followed by a strong curriculum — during the second through fourth year — of nursing, theory, clinical courses, selected general education and science courses, all based at the Fairfield Medical Center campus. 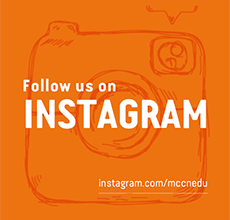 For more information about the MCCN-Lancaster campus contact Admissions at 614-234-5419. For more information about the Lancaster campus contact Admissions at 614-234-5419. Are you in need of housing near Lancaster, OH? If so, please review the following information compiled by the Office of Admissions at Mount Carmel College of Nursing. Mount Carmel College of Nursing does not currently own or manage any residence halls or apartment complexes near the Lancaster campus. Below are apartment rentals and real estate agents in the Lancaster area. This information is for your convenience and should not be considered an endorsement by the College. It is the sole responsibility of the prospective tenant to do any screening. In addition, this list is subject to change. It is our recommendation that you contact each company for up to date information.